Where does the time go? I don’t mean to be away for so long, but life is definitely getting in the way of my blogging efforts lately. Nothing bad, thank goodness… just busy with work and daughter and stuff. 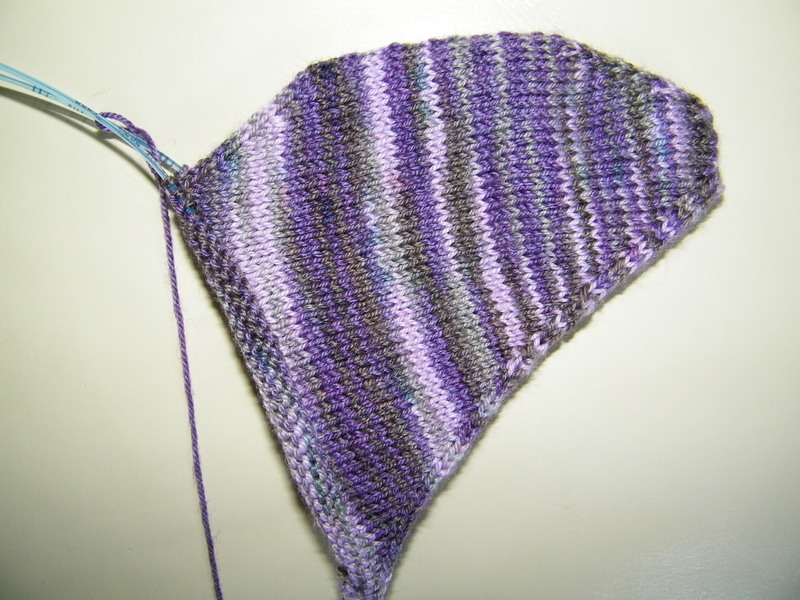 I started Skew a few days ago, after re-reading The Magic Loop by Bev Galeskas, which I had bought at Knitter’s Day Out. It took me a few tries to get the cast-on and the first few rounds of the toe going, and then it took me a couple of days to convince myself that what I was doing was actually correct. Because if you look at the work, it looks kinda… off. Well look at that... ! And it fits! As for the Magic Loop method… I admit, I kinda like it. But I’m not sure if I like it enough to give up my DPNs. We’ll see what happens after I finish this project. 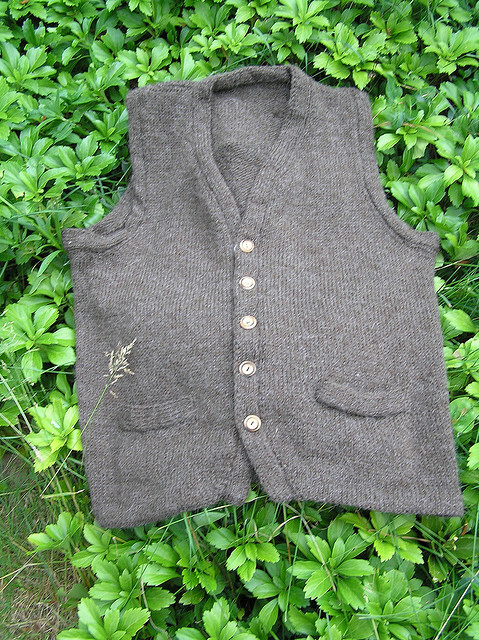 Meanwhile, I’m waiting for my Cider House Rules Vest pattern to arrive. I’d be thrilled if it came today, but not surprised if it comes next week. Busy day ahead of me today… among my Things To Do: spend a little time watching (and counting) birds. Why, you ask? That’s a blog post for another day, but mainly, this weekend is the Great Backyard Bird Count, a great way to spend some time away from the TV, computer, and all things indoors. Betcha didn’t know I had other interests besides yarn… ? Aaaaaahhhh… I’m on vacation, as of today. No, I’m not in Hawaii or Jamaica or Beijing or anything… I’m home with Husband and Daughter, which is more affordable and, strangely, more vacation-y. We usually go down to Florida for our vacation, which is great because we get to see our families, but it’s just not happening this year. No matter – we’ve planned some fun day trips around the area, which we’re looking forward to. Details on that to come. So what am I knitting this vacation? I finished a pair of socks for Daughter just a few hours ago, which came out great… trust me on this, since I don’t have a picture because they’re already tucked away in her sock drawer and since she’s in the midst of falling asleep right now there’s no way I’m marching into her room to retrieve them just to get a picture so I’ll just do that tomorrow, okay? And now I’m knitting… nothing. Well, not nothing, I’ve got choices, but what to choose? I have that second scarf to knit for my project manager, which I REALLY want to start, but I have to get his sign-off on the yarn I chose first. And depending on how excited (or desperate) I am about it, this might not happen until after vacation. 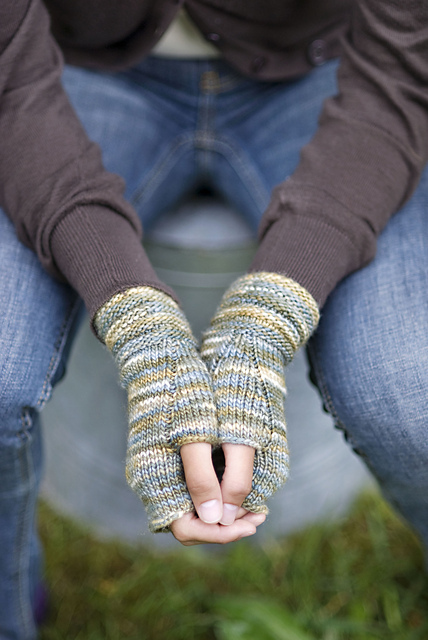 I could start the pair of fingerless gloves I’ve been coveting for over a year now, but that means knitting with 100% wool – is that really a good idea in the middle of August? 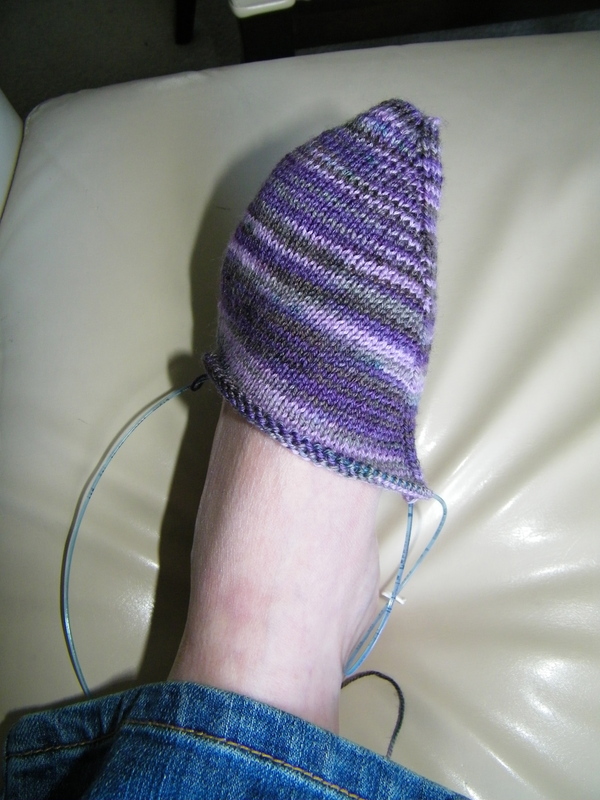 Or I could start a pair of socks for me, which would be an easy and fun project except… I’m going to try out the Magic Loop method for the first time, so these socks will probably take me twice as long as I get used to working with two circular needles instead of four dpns. There’s always the shawl that’s been waiting for me for a year so I can try my hands at lace knitting, but really, this project screams WINTER. And these things are just the projects that I happen to have the stash for… should I even mention the projects that I’m planning that I haven’t even acquired the yarn for yet? No. Not today. Today is for pondering. Tomorrow will be for deciding. Meanwhile, what’s everyone else knitting?